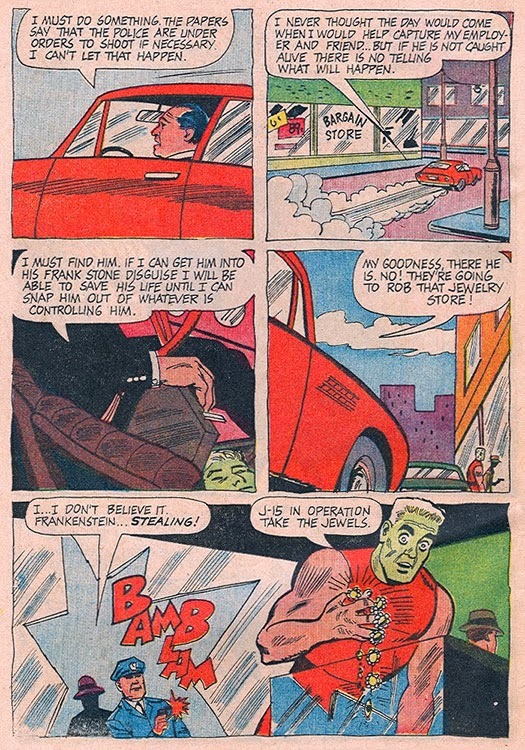 Hero Histories: Frankenstein the SuperHero "The Trap"
Will Frankenstein get free and stop the Criminal Computer! 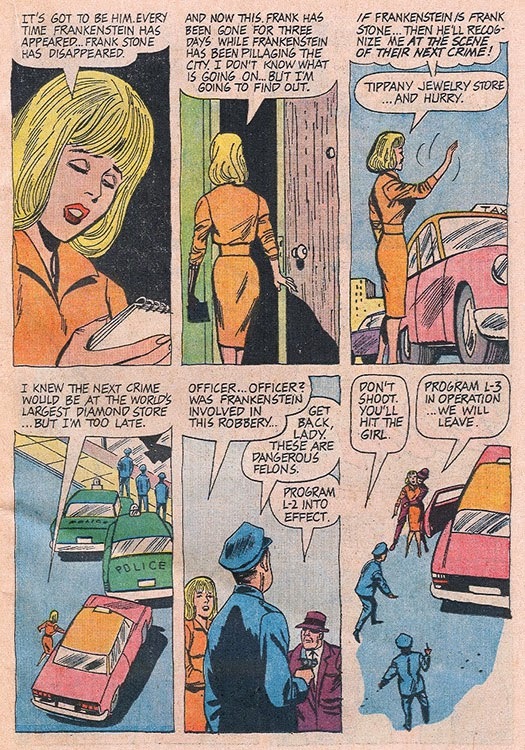 Will Ann Thrope escape...and file her scoop? 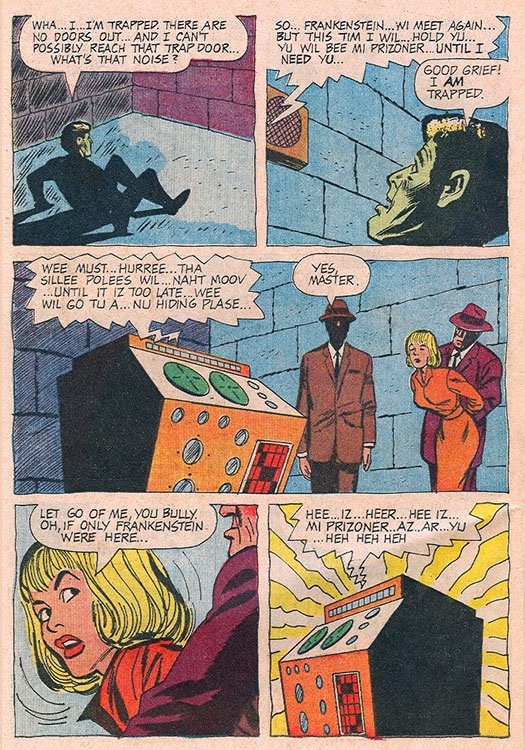 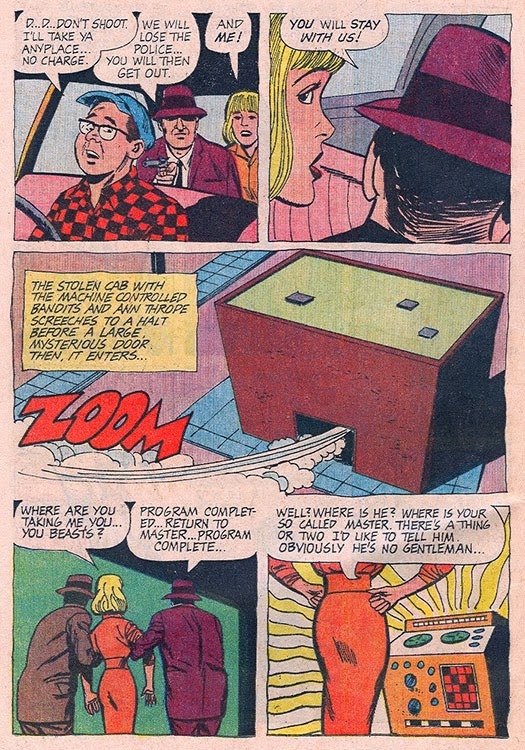 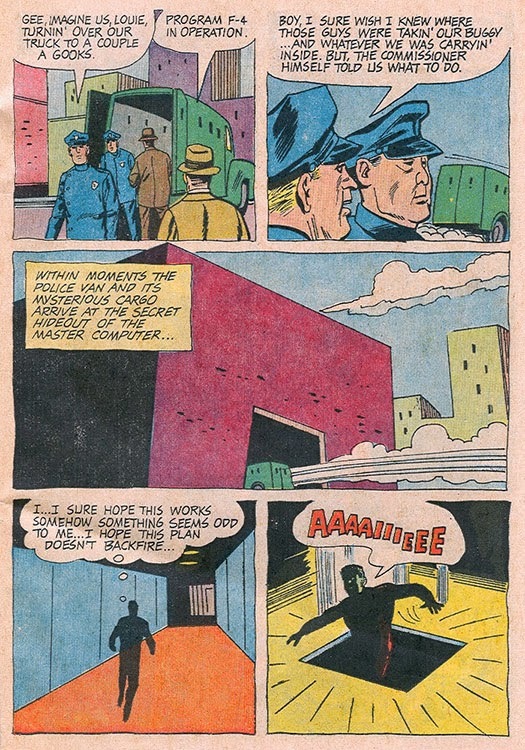 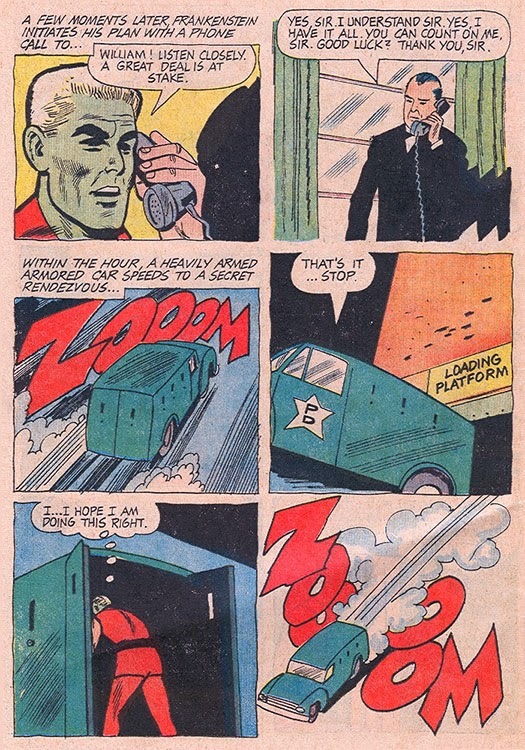 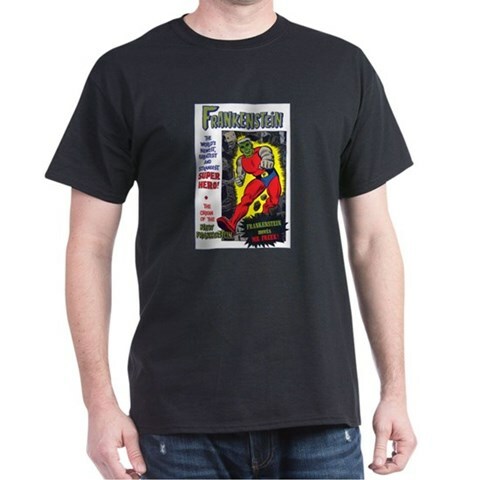 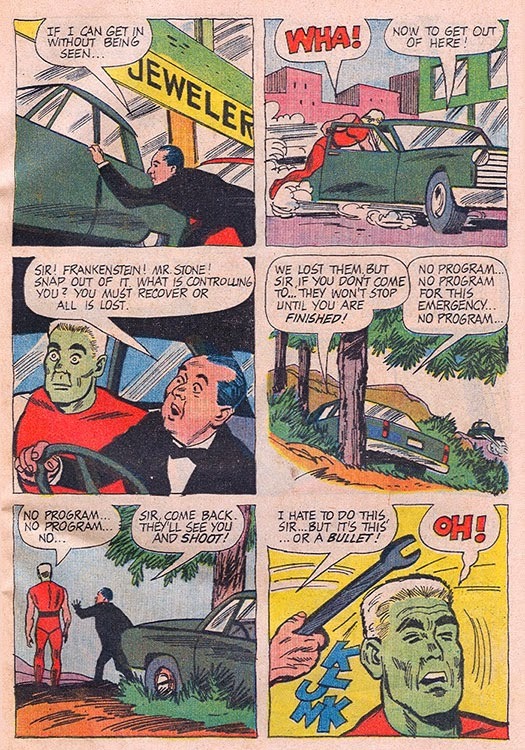 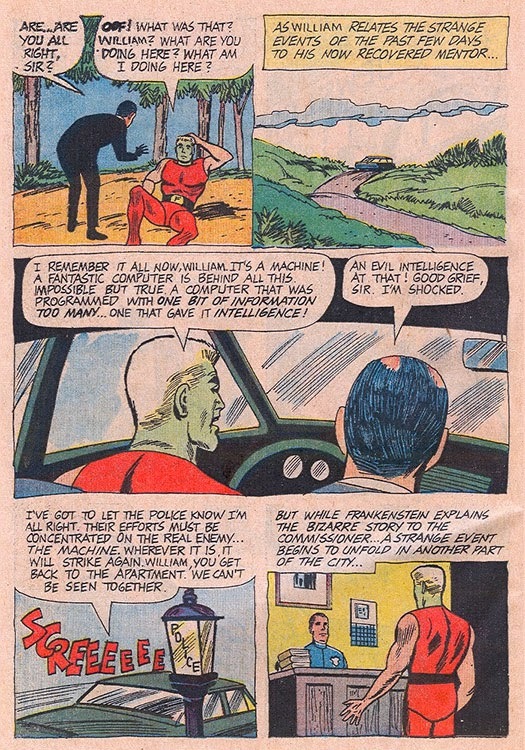 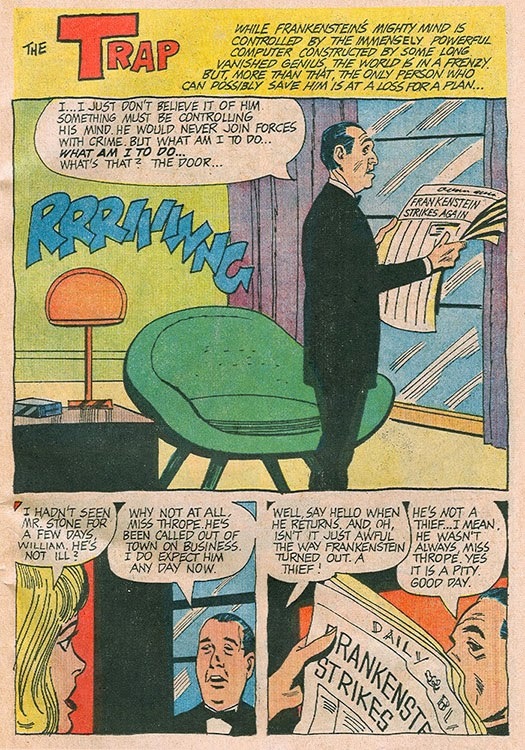 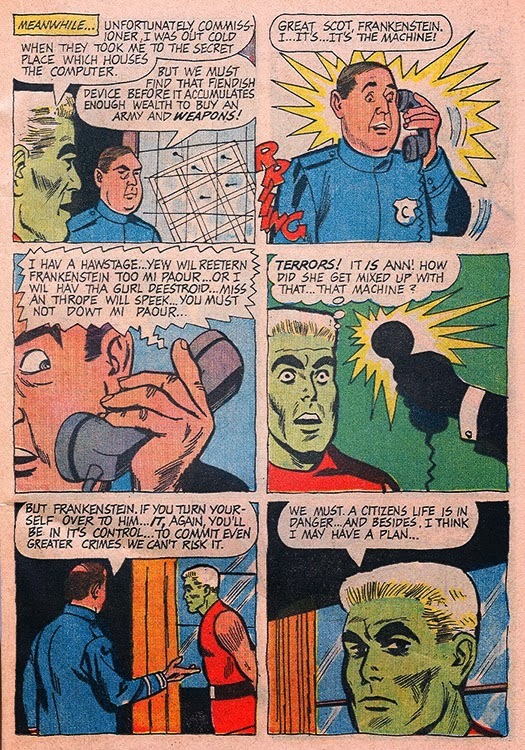 This odd, never-reprinted, combining of Superman and Batman tropes is from Dell's Frankenstein #3 (1966), written by Don Segall and illustrated by Bill Fraccio & Tony Tallarico.